Along about now, the IRS is mailing notices to taxpayers who still owe their 2015 tax, or whose returns the IRS is adjusting. 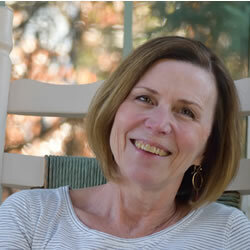 As an Enrolled Agent, I can help you respond to IRS notices and letters. Here are a few tips on how to respond to an IRS notice. Understand that you are not alone. Every year the IRS mails millions of letters and notices. 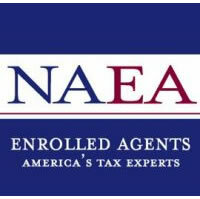 An Enrolled Agent tax professional, like myself, can help you interpret and respond. 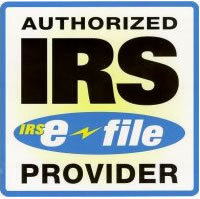 To speak to, or represent a taxpayer before the IRS, a signed Power of Attorney must be on file with the IRS. It is as easy as signing a Form 2848 that an EA can prepare for you. Don’t Panic! Calmly open the envelope and read it carefully. Not every IRS letter is bad news, and many can be dealt with simply and painlessly. Some letters are informational and require no response. Read carefully. If the IRS is making an adjustment to your tax return, then be sure to provide a copy of the notice to your tax preparer, even if you agree with the change. It is important that the correct information be carried from one year to the next, and if changes have been made, then your tax preparer will need to make a note of those corrections. Follow instructions and keep copies. Each letter states instructions and time frame for making a response. If you believe a response is required, and you need assistance from an EA, then get a copy of the notice to the EA as soon as possible so there is adequate time to prepare for a response. If payment is required, the safest way to make a payment is by check accompanied by the payment voucher. Online payments are acceptable, but be sure you are clear what you are making payment for, 1040-ES Qtr 2, for example. If you need more time, then ask. In most cases, the IRS will grant an extension of time to respond, if needed. An EA can help you get an extension, or you can request an extension yourself by calling the telephone number on the notice. However, if you ignored previous notices and receive a Notice of Deficiency (90 day notice), no extension can be granted, and if you want to dispute the tax, you must do so in Tax Court. Don’t go there. Check the IRS numbers against your return or document. If your notice is adjusting your return, check their numbers against yours. Sometimes, the IRS gets it wrong, especially with clergy taxes. A common adjustment made is to the estimated tax payment amounts on the return. Be sure to keep good records and give your tax preparer exact dates and amounts of estimates you sent in during the tax year, so that preparation is right from the beginning. Be aware of scams. The IRS will never call, text, or email you. Never. All communication is through official written correspondence. If you receive a threatening phone call, hang up immediately. Report the call to TIGTA (www.treasury.gov/tigta) and the Federal Trade Commision (www.FTC.gov). WINTER 2016 – What’s new in 2016 FALL 2016 – Fall means . . .